We’ve known Dineh Mohajer since she set up her first brand, Hard Candy. (Which she sold to French luxury powerhouse LVMH.) 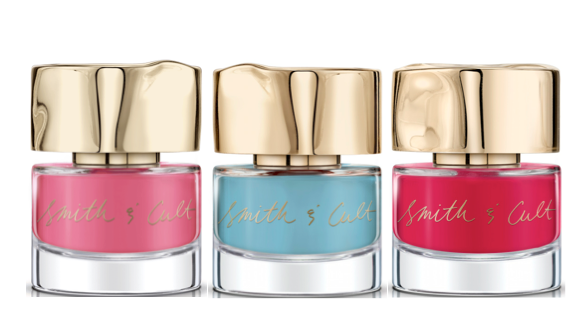 When someone with that track record starts over, beauty editors sit up and notice – and so we’re pleased to introduce you to Smith & Cult, which we confidently predict will shortly be living up to the second half of its name. It spans nudes to reds to vibrant colour (and everything in between) – although we will admit to an especially soft spot for the glittery Gay Ponies Dancing in the Snow (you gotta love THAT name! ), which gave us ridiculously pretty pink ‘fairy nails’ over the summer, when we didn’t have to pretend to be grown-ups.